Yaba College of Technology (#YABATECH) disclaimer on 2018/2019 academic session acceptance fee payment. 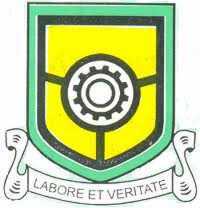 The management of the Yaba College of Technology (YABATECH) has released a disclaimer notice informing the 2018/2019 newly admitted candidates on acceptance fee payment. Prospective students are to note that PAYMENT OF ACCEPTANCE FEE IS NOT YET APPROVED by the college management and is not on the college portal yet. Candidates are to wait for further directives.